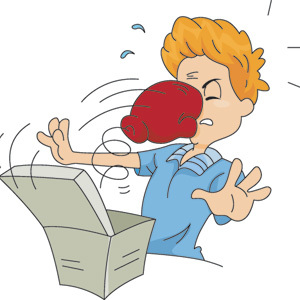 Vocabulary: Do YOU know the meaning of this word – “prank”? Prank – a practical joke or mischievous act. Play a trick or practical joke on (someone). A trick that is intended to be funny but not to cause harm or damage. 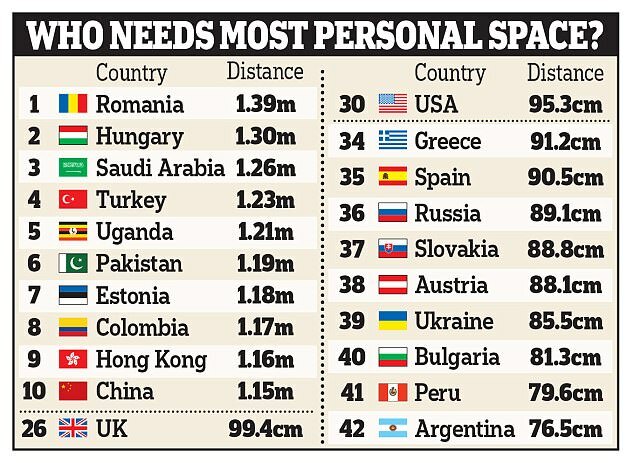 Who needs most personal space by country? Researchers found that Argentinians were the most relaxed with strangers and set a limit of 76.5 cm before they felt uneasy. Romanians liked to keep the biggest gap, at 1.39 m.
At an average distance of 99.4 cm, the UK was ranked 26th in a list of 42 countries whose citizens feel most ill at ease with strangers. The study said cultural differences could be behind the differences – but other factors were at play. 25 reproducible maps, featuring temperature, transportation routes, endangered species populations, and more, are paired with crossword puzzles to make map-skills review fun! As students read and analyze the map to answer the crossword clues, they build important geography skills and reinforce social studies vocabulary. For use with Grades 48. Connect, Second Edition, is a fun, four-level, multi-skills American English course especially written and designed for young adolescents. The comprehensive, interleaved Teacher&apos;&apos;s Edition 1 provides step-by-step instructions to present, practice, and review all new language for Student&apos;&apos;s Book 1. It also features the audio scripts, optional exercises, and informative notes. MORE! is a four-level course from a highly respected author team that&apos;&apos;s bursting with features for lower secondary students. With dedicated reading, culture, grammar, vocabulary, skills and cross-curricular learning sections, plus a wide range of flexible components, you really do get more with MORE! Each level of MORE! contains 80-90 hours of class material. Teachers can draw on a wide range of multimedia components to make lessons and homework varied and enjoyable, such as the free Student&apos;&apos;s Book CD-ROM, Classware DVD-ROM, Testbuilder CD-ROM, DVDs, Cyber Homework, and MORE! Online which can be accessed via the website. Students put new vocabulary to immediate communicative use through the &apos;&apos;Language Focus&apos;&apos; in every unit of the Student&apos;&apos;s Book and extra exercises from the Teacher&apos;&apos;s Resource Pack. They can build their writing skills in the &apos;&apos;Writing for your portfolio&apos;&apos; section in every unit and using the tips on writing in levels 3 and 4. MORE! is a four-level course from a highly respected author team that&apos;&apos;s bursting with features for lower secondary students. Each level of MORE! contains 80-90 hours of class material. Key language for each unit is introduced in a photostory and put to use through the &apos;&apos;Language Focus&apos;&apos;. There is thorough coverage of grammar via a dedicated secion in each unit. The &apos;&apos;Learn MORE through English&apos;&apos; pages introduce cross-curricular learning (CLIL) while the &apos;&apos;Learn MORE about Culture&apos;&apos; sections explore English speaking countries. Students learn to &apos;&apos;Read MORE for pleasure&apos;&apos; with the extra reading pages and the CD-ROM enables students to practise vocabulary, grammar and skills. MORE! is a four-level course from a highly respected author team that&apos;&apos;s bursting with features for lower secondary students. Each level of MORE! contains 80-90 hours of class material. With dedicated reading, culture, grammar, vocabulary, skills and cross-curricular learning sections, plus a wide range of flexible components, you really do get more with MORE! The Workbook with Audio CD contains exercises for extra practice in reading, vocabulary, listening, grammar, and a &apos;&apos;Writing for your Portfolio&apos;&apos; section.